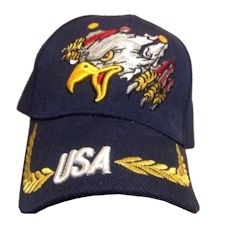 USA embroidered hat, with an eagle "tearing" through the front. Gold leaf and USA on the brim. One size fits all.